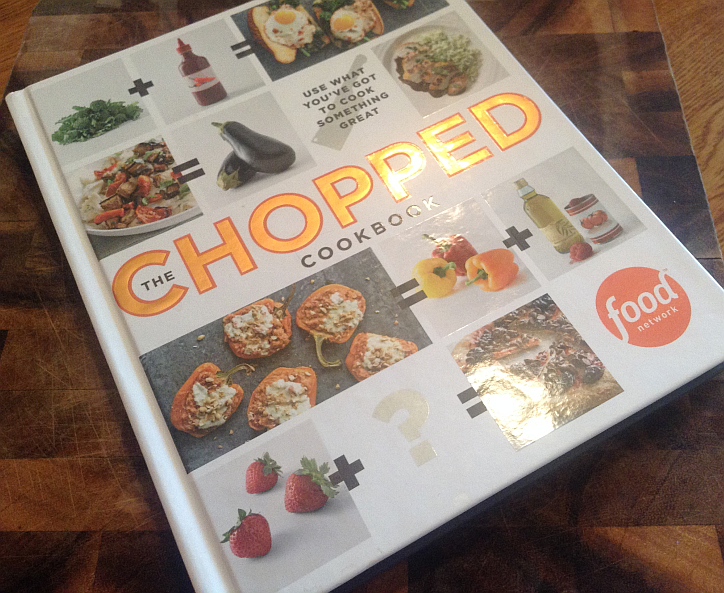 Review: The Chopped Cookbook – Get Cooking! One of the most popular series on Food Network is the colorful, never-a-dull-moment, and completely unique Chopped. It only stands to reason that the cookbook would be a runaway hit, too. 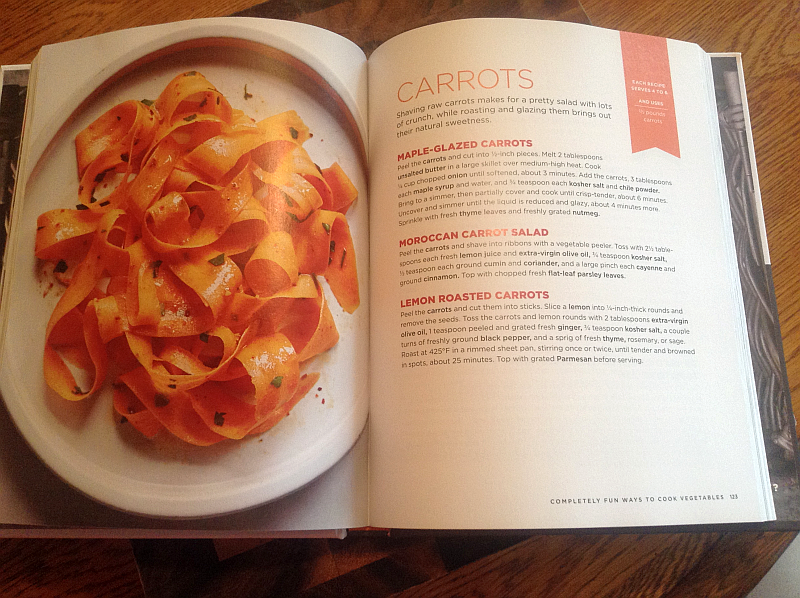 The Chopped Cookbook : Use What You’ve Got to Cook Something Great is everything you’d expect it to be, and then some. To be perfectly honest, the recipes are a lot more down to earth and doable than I’d somehow expected. Some (not all, of course) cookbooks are filled with wonderful recipes and are unmistakably gorgeous – but you only find a handful or recipes in the entire book that you’d actually make. Hint to Cookbook authors: If an ingredient would make the average cook reach for a culinary dictionary, it’s best to AT LEAST offer up substitution suggestions! Seriously, a lot of us live in fairly rural parts of the country and we simply don’t have access to everything you have access to. Can you tell I’ve run across a couple of haughty taughty cookbooks recently? That’s why I was completely thankful for this wonderful cookbook. It’s very high quality, drop dead gorgeous, filled with cooking knowledge and tips, and packed with recipes that even country bumpkins like me will make again and again. If you’ve ever looked in your fridge, hoping for inspiration to strike, let The Chopped Cookbook help you shake up weeknight dinners. Just as each basket on Chopped has many appetizing possibilities, so, too, do the contents of your refrigerator. By showing you how to spin your favorite ingredients into 188 fun, doable, and delicious recipes – including go-to guides for making salad dressings and pan sauces, four-ingredient market baskets that can go in many tasty directions, and ideas for ways to reinvent pasta dinners – the culinary masterminds at Food Network set you up for mealtime victory every night. Other chapters cover subjects such as Chicken, Pasta, Beef, Salads, Fish, Grains, Desserts, and more. There’s a wonderful mix of year-round recipes that’ll become weeknight favorites and recipes you’ll definitely want to serve at Christmas, Thanksgiving, and other special occasions. I’ve already marked a few to try out at Thanksgiving (Cheddar Kale Souffle, Moroccan Carrot Salad, and Thai Turkey Lettuce Wraps for after Thanksgiving) and Christmas (Salt-Roasted Beets with Horseradish Sour Cream and Tomato Cheddar Gratin – both look gorgeous and sound delicious). Truth be told, I love everything about The Chopped Cookbook : Use What You’ve Got to Cook Something Great but one of the things I love most is the personality of the cookbook. It, somehow, seems to take on the personality of Chopped’s host, Ted Allen. Helpful, friendly, and very engaging. There are even random Q & A’s with judges, chefs, and Ted Allen, himself. Any fan of the Food Network will get as big a kick out of this cookbook as I have. Having said that, even the cook who (somehow) has never even seen the Food Network at all will love it just as much. You just can’t lose when a cookbook is beautiful, filled with great pictures, and has front-to-back killer and DOABLE recipes. Click through any of the links or either picture for more information.